Career opportunities in Malta within the sectors of Tech and Finance are seeing a positive shift as companies progressively adopt new ways to implement evolving technologies to excel in their digital transformation. This is resulting in greater demand for talented professionals to fill in necessary vacancies within a company to further assist in company digitisation and growth. As working cultures continue to evolve, individuals following professional careers, especially in Tech, are being given the opportunity to pursue freelance work rather than part time jobs in Malta. This as a result of on-demand talent requests which allow an individual to work under their own initiative and the extended freedom to move from one project to the next, leaving their mark at various companies across multiple sectors. Shifting working landscapes are thus giving way to new working methods, as younger generations are seeking greater working liberty in terms of flexible working hours, customised schedules and remote working options. Although, understandably, not all positions might permit so much time out of the office, it is wise for companies to keep in mind the developing interests of tomorrow’s workforce. Equal if not greater work opportunities are present for full timers within the freelance stream too. The sourcing of talent to address required expertise for specific in-house projects has lead to companies establishing partnerships with freelancers through short-term contracts. Bringing in such talent allows both company and candidate to work flexibly and independently whilst maintaining a professional relationship based on trust and commitment. An abundance of skills are progressively in demand as organisations seek top talent to fuel their digital ambitions. Even more so now, with Malta’s legislation in providing a regulatory framework for Blockchain technology to operate, there will be a greater influx of jobs in Malta in Tech and Finance. In turn, this would supposedly generate greater interest from investors and professionals from overseas, resulting in further opportunities for jobs in Malta for foreigners. Offshore talent is consistently being attracted towards a move to Malta due to growing and favourable economic activity, as Crypto exchanges are set to base themselves in Malta and offer more job vacancies. It is therefore not much of a surprise that foreigners would be interested in taking their career to Malta and forming part of an exciting transition through the digital age. 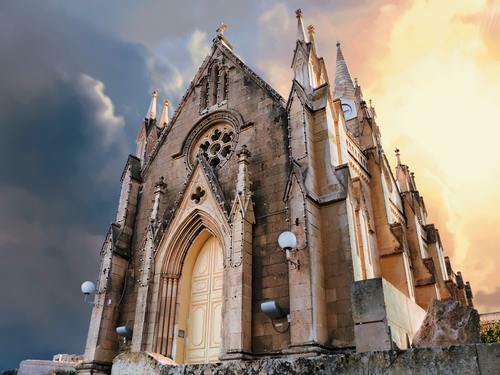 Moreover, apart from its economic facet Malta remains an ideal destination to move to in terms of work-life balance - with over 300 days of sunshine a year and a nice selection of great leisure spots and activities, foreigners seek Malta as the perfect place to move to. With the English language as an official language of Malta, English speakers the world over pin-point Malta as the go-to spot for a job change. Essentially, jobs in Malta for English speakers will thus be on the rise, with opportunities for those speaking foreign languages (specific and relevant to the markets of operation of certain companies, such as those within iGaming) also being on the increase. Furthermore, as companies continue to grow, such a steady stream of job opportunities will contribute towards an increase in full time jobs in Malta, as well as a boost for Malta’s progressing gig economy. Going forward, companies in Malta should invest time and effort in analysing how working trends are evolving to better understand the requirements of talent and their preferred working methods to make the most out of digital innovation.